Occipital neuralgia (ON) and cervicogenic headache (CGH) are secondary headache disorders with occipital pain as a key feature. 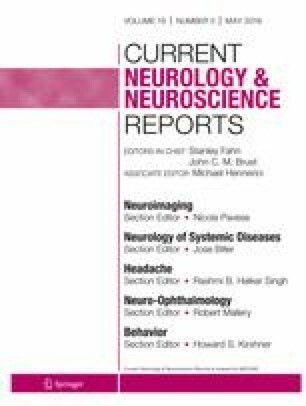 Due to significant phenotypic overlap, differentiating ON and CGH from primary headache disorders such as migraine or tension-type headache, or other secondary headache disorders, can be clinically challenging. This article reviews the anatomy, clinical features, unique diagnostic considerations, and management approaches relating to ON and CGH. Conservative therapeutic approaches are considered first-line. Anesthetic nerve blocks may have a dual role in both supporting diagnosis and providing pain relief. Newer minimally invasive procedures, such as pulsed radiofrequency (PRF) and occipital nerve stimulation (ONS), represent an exciting therapeutic avenue for severe/refractory cases. Surgical interventions should be reserved for select patient populations who have failed all other conservative and minimally invasive options, to be weighed against potential risk. ON and CGH represent an ongoing diagnostic challenge. Further studies are required to consolidate efficacy regarding the comprehensive management of ON and CGH. Côté P, Yu H, Shearer HM, Randhawa K, Wong JJ, Mior S, Ameis A, Carroll LJ, Nordin M, Varatharajan S, Sutton D, Southerst D, Jacobs C, Stupar M, Taylor-Vaisey A, Gross DP, Brison RJ, Paulden M, Ammendolia C, Cassidy JD, Loisel P, Marshall S, Bohay RN, Stapleton J, Lacerte M Non-pharmacological Management of Persistent Headaches Associated with neck pain: a clinical practice guideline from the Ontario protocol for traffic injury management (OPTIMa) collaboration. Eur J Pain 2019. doi: https://doi.org/10.1002/ejp.1374.